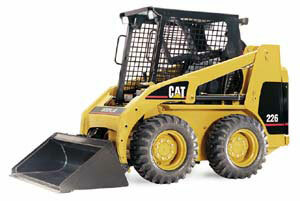 Cat Brush Mower Details - Quasius Equipment, Inc. The optional hydraulic brush mower for the Caterpillar 226 skid steer loader utilizes the industry standard quick-attach mounting system. 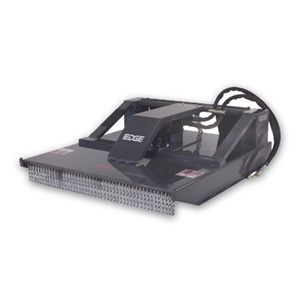 It features a high torque hydraulic motor that runs a 60" rotary blade deck of cutting brush and small saplings up to 3" in diameter! The balanced stump jumper feature means it will mow down most anything in it's path without stalling. Large fields, clearing trails, etc.